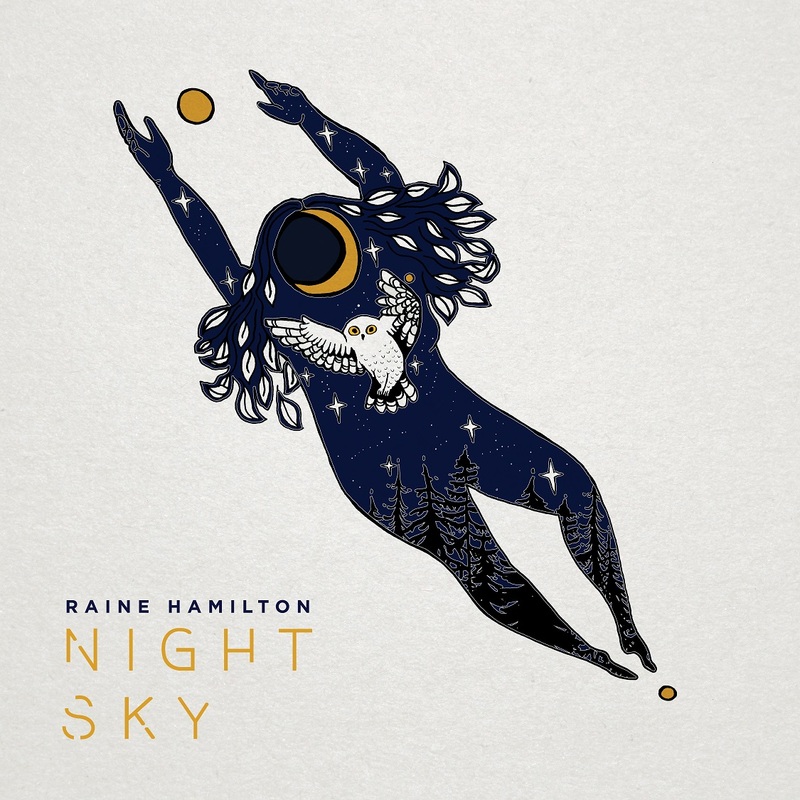 Raine Hamilton’s Night Sky is a warm, sweet stringed folk serenade to life’s beauty. What do you see when you look up at the night sky? Some see hope; a pool of unlimited potential. Others see vast darkness, dotted with streaks of light. Some see their futures; others see a link to the past. Like the water below, we are intimately connected to the depths above us. 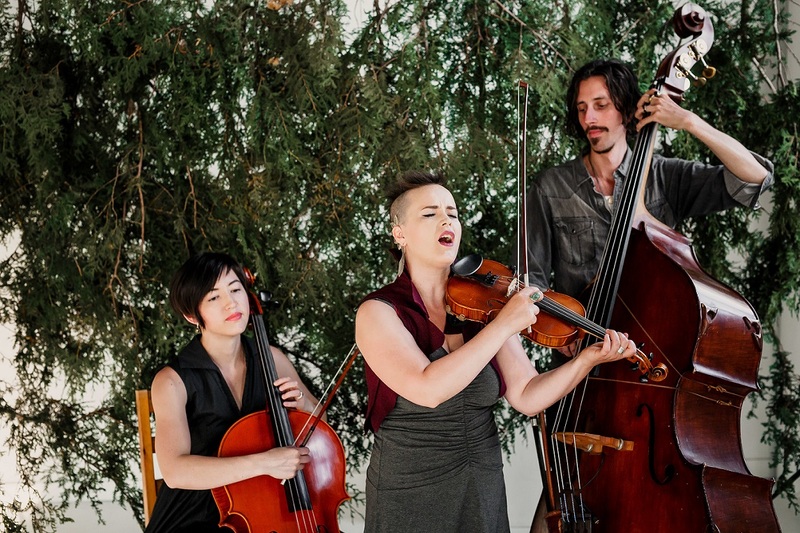 Raine Hamilton’s new album Night Sky is a warm, sweet stringed folk serenade to life’s beauty – the pain, joy and vibrance of our shared human experience. We are the summation of our memories and dreams. Atwood Magazine is proud to be premiering Raine Hamilton’s sophomore album Night Sky, independently out March 23, 2018. A dramatic, poignant, insightful and engaging collection of songs performed alongside cello and double bass, with Raine on violin or guitar, Night Sky‘s music is the sort that shoots shivers down the spine. Raine’s flexible vocals paint vast portraits we get to know on an intimate basis, each line another delicate thread holding together a marvelous sonic tapestry. She opens with the beautifully bare “Starlight,” a mournful tune announcing the onslaught of a storm that tears our world apart; nothing is safe, and we feel that reflected in her accompaniment’s increasingly tense melodic lines. A life is lived within the following songs of strife and cheer, until we eventually land in “Bury My Heart,” a plaintive but tension-free reflection on life’s coming and going, continuation and perseverance. 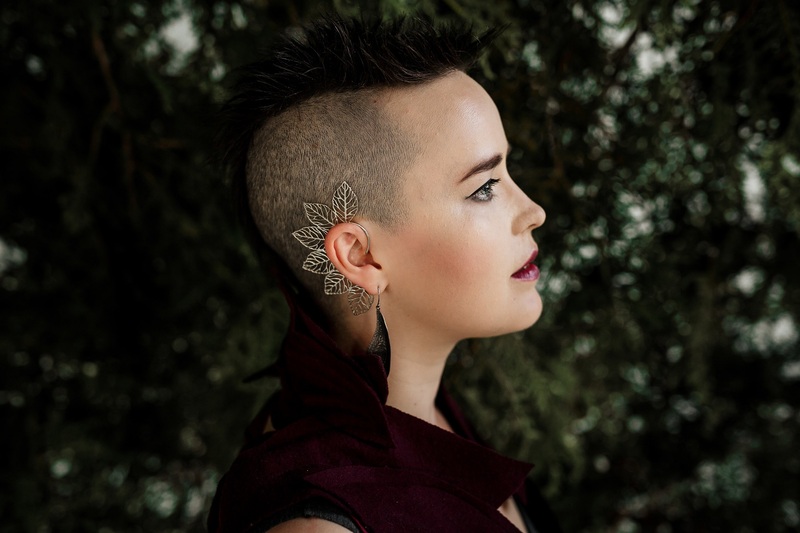 Raine Hamilton is neither traditional, nor is she modern; she is an entity unto herself, a seasoned musician whose latest record will fill your world with warmth. Stream Night Sky exclusively on Atwood Magazine ahead of its 3/23/18 release, and dive deeper into Raine Hamilton’s artistry through our interview below! Atwood Magazine: What does this album symbolize to you? What is its personal significance? Raine Hamilton: I chose the title Night Sky because so many of the songs in this collection use night sky imagery as a symbol for reaching further, growing, and for tipping over into a spiritual space. For me personally, the night sky is a spiritual symbol of the greater world, the greater connection of all things. It is so much bigger than all of us. Can you talk about the structure of the record, and why you designed it this way? 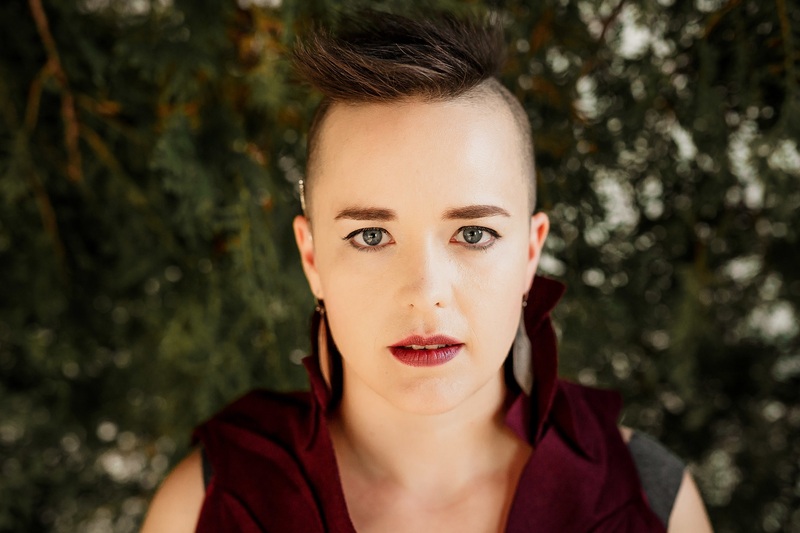 Raine Hamilton: When it comes to creative process, I often feel like the steward of ideas, the gardener of creative seeds, and that’s what making this album was like; I listened and noticed what ideas were present, which stood out, and without fully understanding it, I trusted that those ideas would be the right ones, and that they would work together. I trusted that they had something to say, and something to teach me. There were a lot of intentional decisions we made along the way, too, like being sure to include variety of sounds, song openings, density of orchestration, intensity, and we were mindful of the final flow of the record. So I would say we approached the making of this record with part trust, part careful attention, and part analysis, which was sometimes laid out in a detailed excel sheet. If listeners could zero in on one or two songs which would you want them to be? Another standout for me is “Robin Hood,” which tells the story of Robin Hood’s genesis as a selfless hero; we hear him as a brave and willing participant in his fate, and also as someone attached very much to earthly life and love. He sort of tips between these worlds, finding his way and his identity. I love the section of strings swells in the middle of the song, where I imagine Robin Hood surrendering to his calling to live a life of service. How do you define your music, to your parents/relatives? Raine Hamilton: I come from a family of artists and musicians. My parents met in a rock and roll band in the ’70s, and I have a host of extended family architects, painters, musicians, actors and photographers. There was always music happening at my house (often played by my dad on his martin guitar in the living room), and I am really lucky that my family has always supported me as an artist. For example, my auntie recently made 10 pies for my recent kickstarter campaign, and my parents are flying in for my home town album release show. They are a supportive bunch. I think that to them, my musical style makes perfect sense: It is a combination of the acoustic signer-songwriter music of my parents’ generation that I was steeped in from day one, combined with classical and fiddling string ensembles I studied so much of my life. I tend to settle with the label Chamber Folk, which I think sums things up pretty well. What's your favorite track on the album - the one you can't get enough of? Raine Hamilton: Right now I am looping the track “For Hildegard.” I am proud of this medieval-inspired tune. The song is loosely based on the life of Hildegard von Bingen (1098-1179), my favourite medieval nun. Hildegard is famous for her musical, medical, and theological scholarship. She was the leader of her spiritual community, and she composed sacred music with this otherworldly, transporting quality. I wrote this song in her favourite phrygian mode, and I borrowed a medieval-ish form (though from a later period), the canon. This song is composed as a round, like a darker, more gregorian sounding Row Row Row Your Boat. When we started work arranging this tune with the trio mates, we really knew we had something that resonated with all of us. Trio-mate Quintin Bart actually plays the Hurdy Gurdy at the opening of this tune. He moonlights as a very proficient, very adventurous player of this medieval period wheeled string/keyboard machine. This song tells the story of Hildegard living a spiritually devoted life, connected with the earth, the seasons, and all things. She really is so cool.